This post was co-written with Alex Tapscott. Turns out blockchain, the powerful new technology that underpins cryptocurrencies like Bitcoin, is critical to this. Blockchain is a vast, global distributed ledger or database running on millions of devices and open to anyone, where not just information but anything of value -like money and units of energy - can be moved and stored securely and privately peer to peer, and where trust is established, not by powerful intermediaries like banks, governments and technology companies, but rather through mass collaboration and clever code. This Internet of Things depends on a Ledger of Things to track everything, ensure its reliability, and pay for its contribution. There are potential applications across virtually every sector. 1. Transportation. Autonomous vehicles will get us safely wherever we need to go. They will intuitively take the fastest route, avoid construction, handle tolls, park all on its own, negotiate passing rates with other vehicles on the road, and communicate with traffic lights. 2. Infrastructure. We will use smart devices to monitor the integrity and other critical factors of road, rail lines, power and pipelines, bridges, runways, ports, and other public and private infrastructure to detect problems and initiate a response both rapidly and cost-effectively. 3. Energy, waste, and water management. Traditional utilities can use blockchain-enabled things for tracking production, distribution, consumption, and collection. New entrants without infrastructure are planning to create new markets such as the neighborhood energy microgrid. 4. Resource extraction and farming. This technology can help make expensive, highly specialized equipment available for just-in-time usage and cost recovery, improve worker safety, and compile "infinite data" analytics to identify new resources or advise on best practices. Sensors could help environmental protection agencies to regulate land usage. 5. Environmental monitoring. Weather sensors will make money collecting and selling air, water, and tremor data, giving people advance warnings of natural disasters, rising levels of pollutants, and monitoring lightning strikes and forest fires--all to increase emergency response time, save lives, and improve our predictive capability. 6. Health care. Blockchain-enabled hospitals could link the devices that manage medical records, inventory, equipment and pharmaceuticals to monitor and manage disease and improve quality control. Smart drugs could track themselves in clinical trials and present untampered evidence of their effectiveness. 7. Financial services and insurance. Financial institutions could use smart devices and the IoT to tag, track, and trace their claims on physical assets--like an air traffic control for priceless objects, antiquities, jewelry, the stuff of museums, anything ever handled by Sotheby's and insured by Lloyd's. 8. Smart documents. Like smart contracts, the coding of all documentation related to a particular thing--a patent, deed, warranty, provenance, registration, insurance, and inspection certification--could control the operation of that thing. If a vehicle has failed a safety inspection or its liability insurance has expired, the vehicle will not start. 9. Real estate management. Digital sensors can create marketplaces for vacant assets by enabling real-time discovery, usability, and payment. In the evenings, a conference room could moonlight as a classroom for neighbourhood youth. 10. Industrial operations. 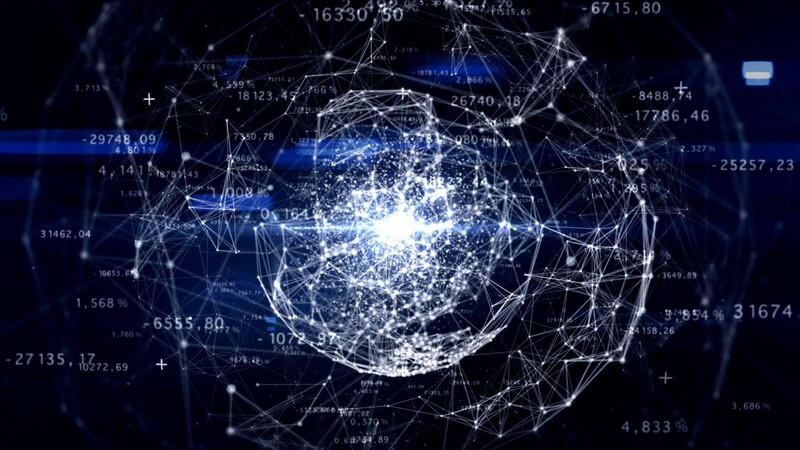 The global factory of things needs a global ledger of things. Factory managers will use smart devices and offer software services for monitoring customer demand, production lines, warehouse inventory, distribution, quality, maintenance, and performance data. 11. Household management. Numerous products and services are entering the market to allow automated and remote home monitoring beyond the "nanny cam" to include access controls, temperature adjustments, lighting, and restocking the pantry, the bathroom, and the garage. The smart home will optimize energy and the in-house experience. 12. Retail. Retailers will be able to personalize products and services to identifiable customers as they walk in or drive by, based on demographics, known interests, purchasing history, and whether those customers gave retailers permission. We can shape these markets according to our values--as individuals, companies, and societies--and code these values into the blockchain, such as incentives to use renewable energy, honour price commitments, and protect privacy. In short, the Ledger of Everything on top of the IoT animates and personalizes the physical world even as we share more. 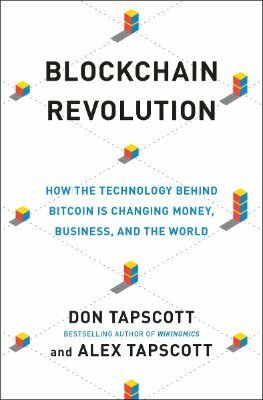 Don Tapscott and his son Alex Tapscott are authors of the Globe and Mail bestselling book Blockchain Revolution: How the Technology Behind Bitcoin is Changing Money, Business and the World. This piece originally appeared in Forbes. Follow @dtapscott and @alextapscott on twitter.